This has been a fun year at Yesterfood. I continue to get to meet so many wonderful people, and I appreciate every one of you from the very bottom of my heart. Thank you! 10. 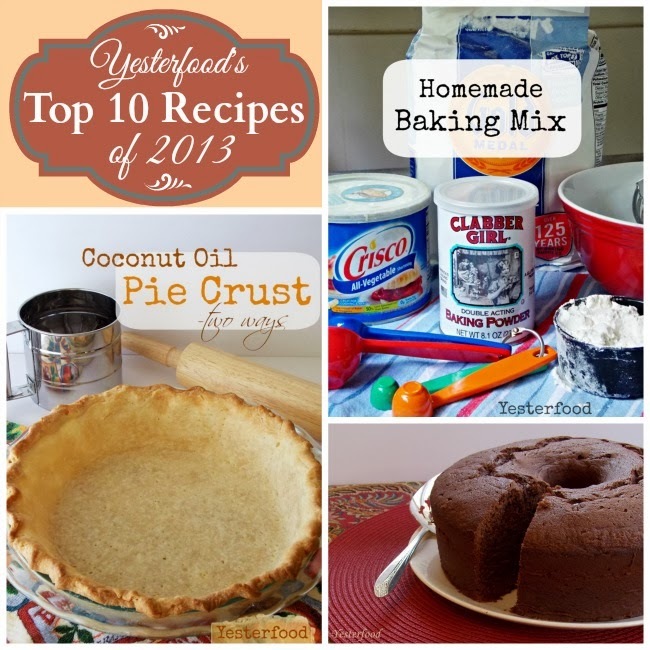 The tenth most popular recipe was Homemade Chocolate Pudding with Pie Crust Dippers. This was a personal favorite of mine, too- it was my Grandmother's recipe, served in one of her teacups. 9. 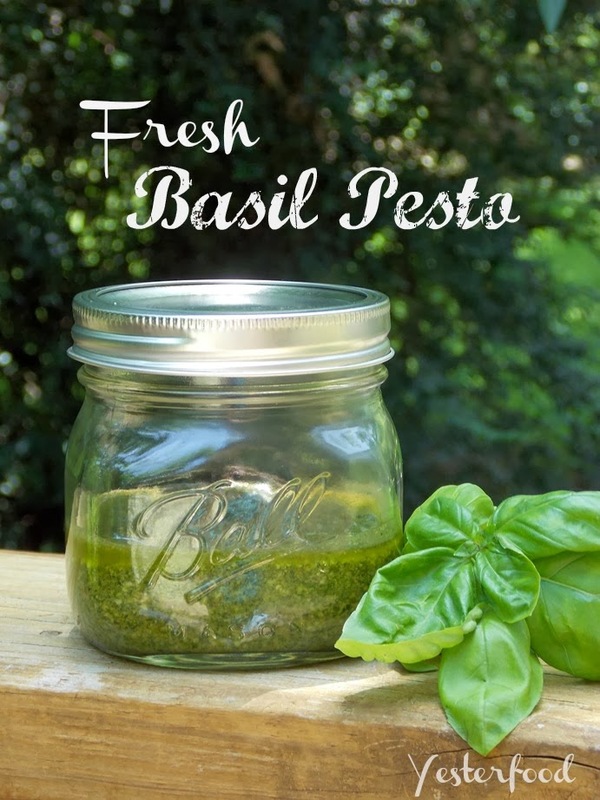 Number nine was Fresh Basil Pesto- bright, fresh, easy, and more delicious and less expensive than store-bought. 8. Easy Pineapple Upside Down Cake came in eighth for the year. 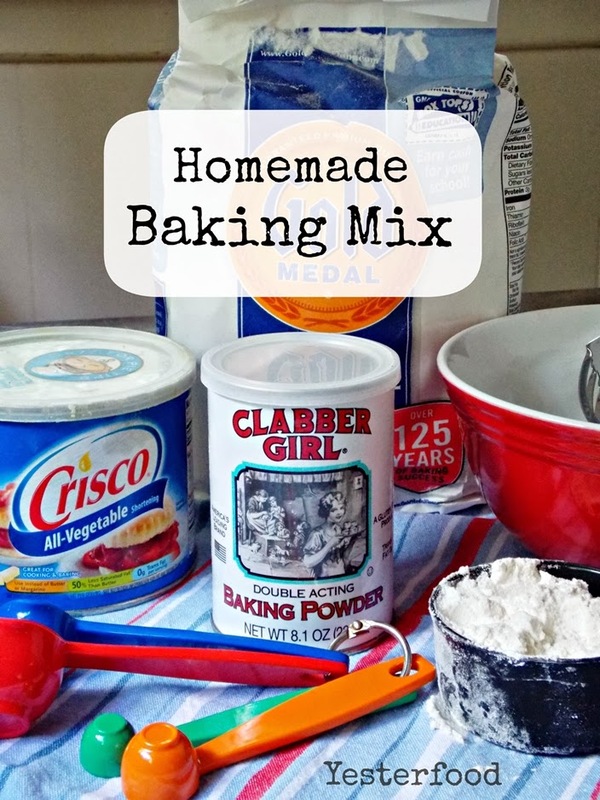 A dressed-up mix, it's a cheery classic! 6. Another personal favorite, number six was rich, dense, moist Mexican Chocolate Buttermilk Pound Cake. 5. Cranberry Pecan Chicken Salad came in fifth. The sweet cranberries mixed with the crunch of pecans and celery were a delicious contrast to the salty creaminess of the mayonnaise. 3. Coconut Oil Pie Crust was one I was really happy with- an experiment that turned out deliciously, to come in at number three. It's the pie crust recipe I use most often now. 2. 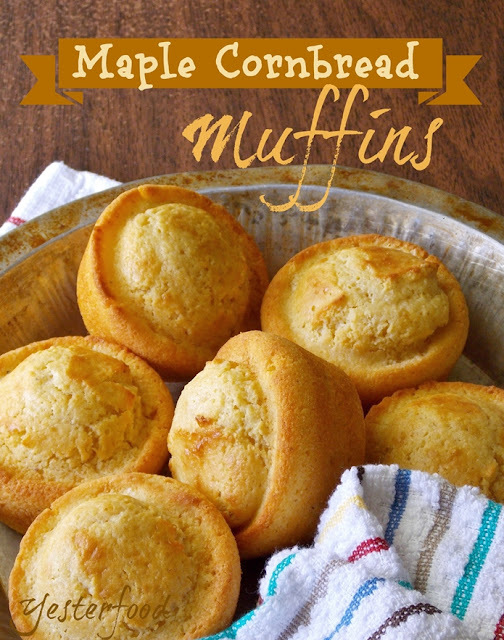 The second most popular recipe of 2013 was Maple Cornbread Muffins- the subtle maple flavor and sweetness made these muffins irresistible! Homemade Apple Pie: sweet, juicy, tender apples wrapped up in a golden crust. Thank you again for joining me this year, and I look forward to seeing you in 2014. The Top 10 Recipes may have been taken to some of these great parties! Loved this list! I pinned a bunch of it! Lynn, thank you, and thanks for pinning! I have really enjoyed getting to know you this year. :) I hope you have a wonderful New Year! What a wonderful collection! I think I may have gained 5 pounds just reading the recipes! Thanks Joy! Happy 2014 to you, your family and all of your readers. I remember them all, great collection. Happy New Year Joy. Thank you, Wanda Ann! I am so happy that my 2013 included you...and so will my 2014! :) Happy, happy 2014 to you and David! I love recipes! Thanks for sharing! Your recipes look very delicious! I'm going to explore them all. Thank for your comment on my blog. Happy 2014! Thank you, Pat, and thank you for visiting! :) I hope you have a very Happy New Year! I'm so glad you shared the pineapple cake! My mother always made that and I'd love to recreate it for my family - now I can! Thanks! It's such a fun classic, isn't it, Joyce? Thank you for coming by, and I hope you and your family have a wonderful New Year! Love your recipes, Joy, and I always enjoy the stories behind them too. This is an excellent post - you've featured some of my favourites. 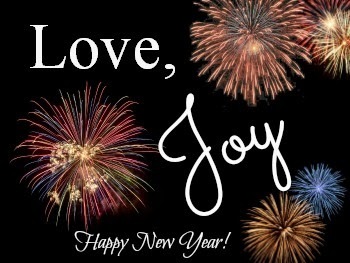 I'll be pinning this for future reference for sure :-) Wishing you and yours a Happy, Healthy New Year! I enjoyed reading your list of Best Post. 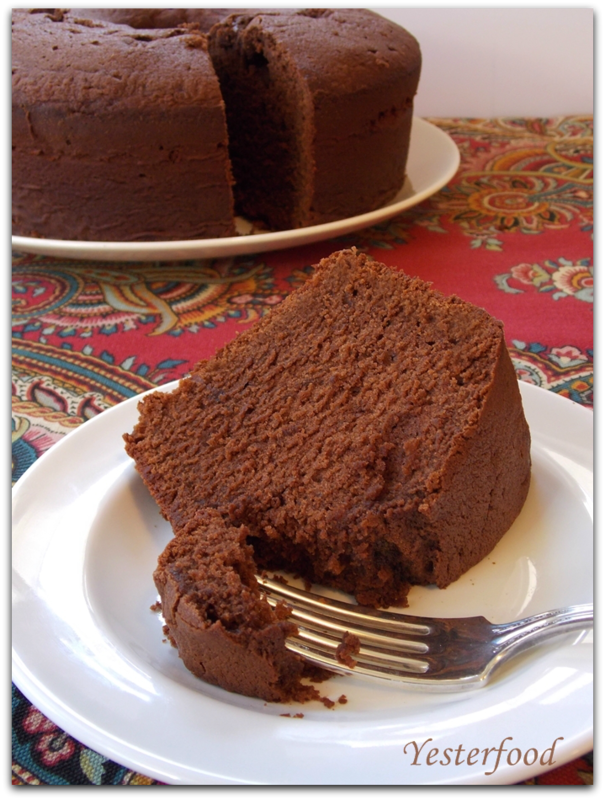 That Chocolate Pound Cake look so moist and delicious! I am pinning this cake for later!! Thank you so much for linking up to 1st Wonderful Wednesday Blog Hop “2014″. I look forward to following all your social medias. These all look delicious. I think the Chocolate Pound Cake will be the first of the New Year! Thank you! :) I think w'ere all going to have a great year, Kris- I'm looking forward to all your posts, too! I seem to love everything you cook so your top 10 Recipes look fabulous! Thank you so much for sharing your awesome Roundup with us today at Full Plate Thursday. I am very excited about your new Linky Party and hope to be there! Miz Helen, thank you so much! You know I love Full Plate Thursday. I’d love to see you at our new party- thank you! 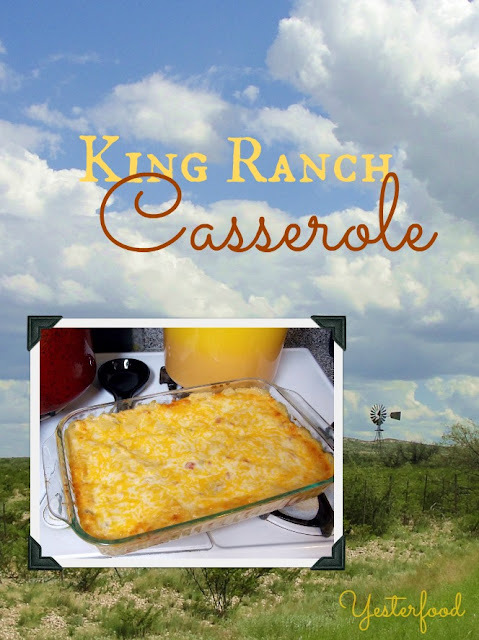 These are great posts and recipes. The maple cornbread muffins look especially good! Thank you for linking to the In and Out of the Kitchen Link Party. Hope to see you next week. Great recipe roundup. I'm especially drooling over the Mexican Chocolate Buttermilk Pound Cake! Yum. I remember every one of these recipes and photos from this past year. What a great collection, Joy! Lovely collection joy, I will give it try to your mexican chocolate buttermilk pound cake looks yumm. Thanks for sharing to Hearth and Soul blog hop. I am highlighting this on Hearth and Soul blog hop. Swathi, thank you so much! The Mexican Chocolate Buttermilk Pound Cake is one of my very favorite cakes- if you try it, I hope you enjoy it as much as we do! :) Thank you for hosting Hearth and Soul blog hop. My daughter has discovered a love for pesto. I'm excited I can now use your recipe. Thanks for sharing at Inspire Us Thursday on Organized 31. Great and delicious list of recipes! Thanks for posting this at the Saturday Night Fever link party. Hope to see you back on Saturday! Great list, Joy! Some of these recipes are actually on my "to do" list! Pinned - Thanks for linking up to Freedom Fridays! What a delicious list. 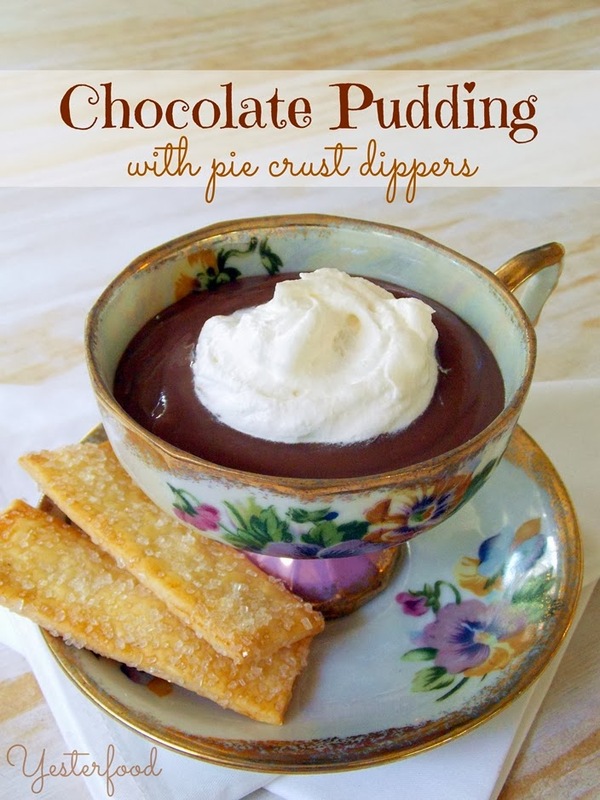 Chocolate pudding with pie crust dippers! Yum. :) Thanks for sharing at The Gathering Spot. Have a wonderful weekend. Diane, the chocolate pudding was definitely one of my personal favorites! :) Thanks for coming by, and for hosting The Gathering Spot! I hope you have a wonderful weekend, too. Joy, what a wonderful roundup! I missed that pesto one and I pinned it for next year when I have fresh basil in the garden. Thanks for sharing with SYC.